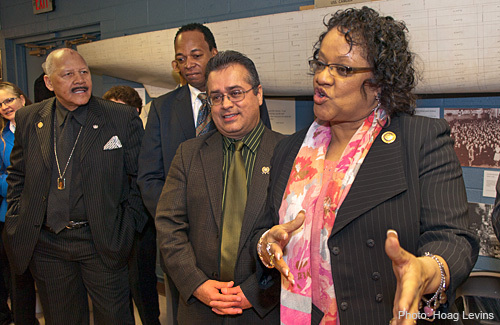 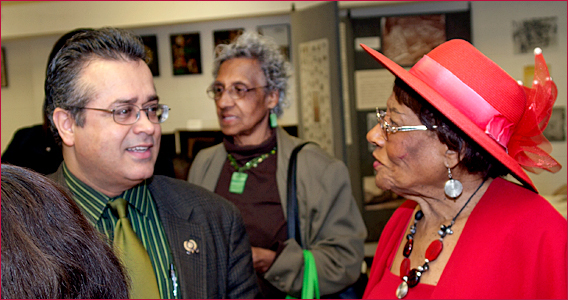 (Camden, N.J. April 10, 2011) -- Camden City Council President and State Assemblyman Angel Fuentes (left) was on hand at the Camden County Historical Society reception for Gwendolyn Faison (right). 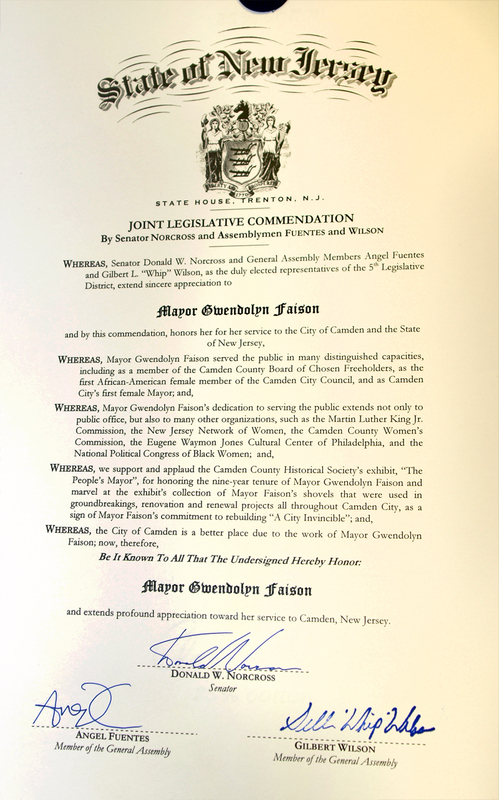 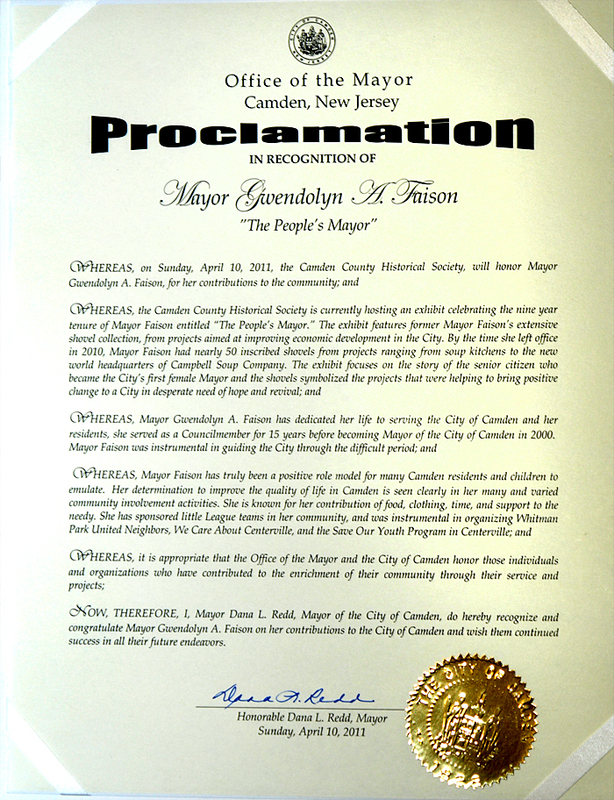 He presented the former Camden Mayor with a State of New Jersey Joint Legislative Commendation for her years of public service. 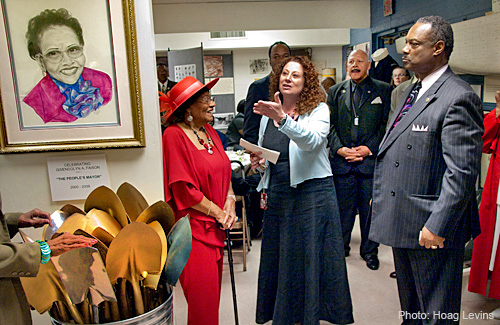 Sallye Harvey is in the background. 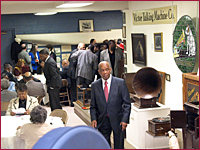 More than 125 people attended the event in the Historical Society's two-story Camden County Museum which has been hosting an exhibit of artifacts and photos from Faison's terms as the first female mayor of Camden. 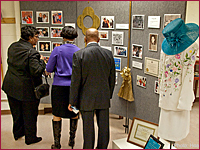 Included in the exhibit is the hat and outfit (above, left) Mayor Faison wore for her inaguration as the city's first female mayor. 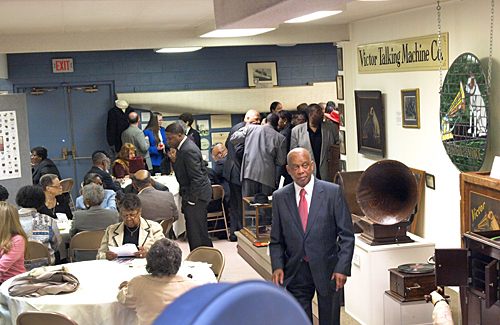 Above, right, Gordan Higgs, Ralph Roberts and Doris Holmes listen to hand-cranked Victrolas in the Camden County Museum. 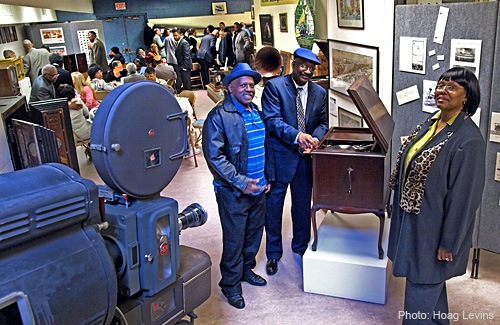 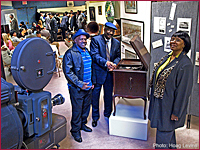 Earl Wardlow (above, left) moves through the museum section that houses the region's largest collection of historic RCA artifacts. 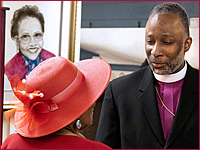 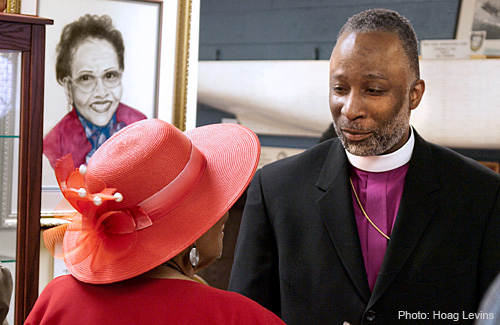 Above, right, Mayor Faison chats with Bishop Edward Williams. 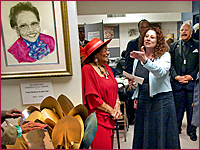 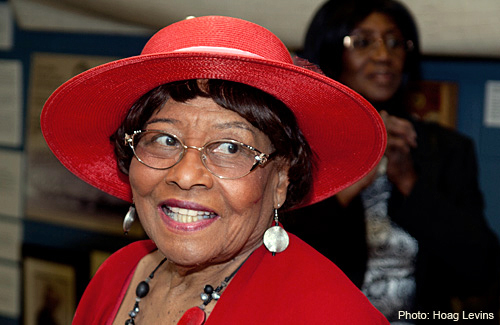 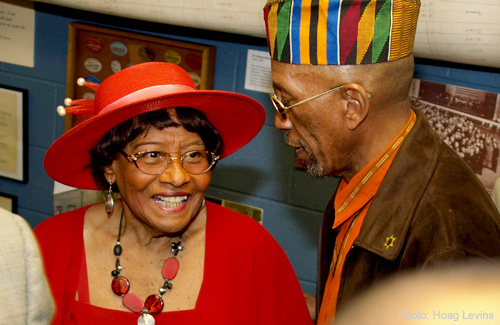 The former mayor (above, left), who was recovering from her second hip-replacement operation, appeared none the worse for wear as she regaled the crowd with humorous stories. 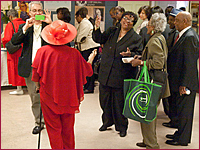 Above, right, Councilwoman Deborah Person-Polk gets the crowd laughing with her own city hall tales. 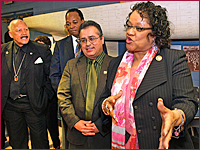 Behind her (l to r) are Donald (Ducky) Birts, Brett Waters, and Angel Fuentes. 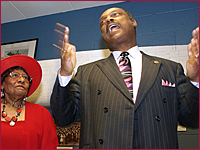 Above, left, Faison and Mitchell Richardson. 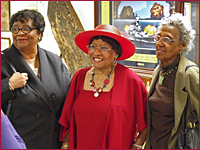 Above, right, with community activist Mangaliso Davis. 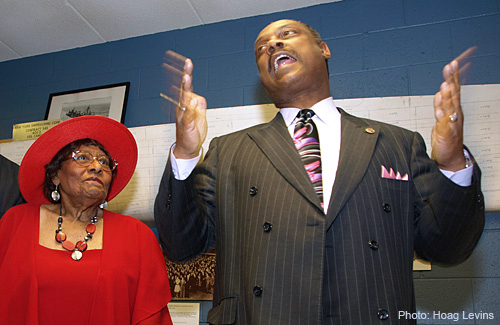 Offering the invocation in his own inimitable style is Rev.Tony C. Evans of Camden's Tenth Street Missionary Baptist Church. 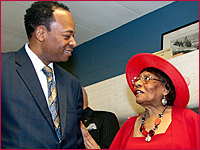 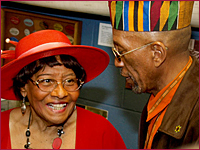 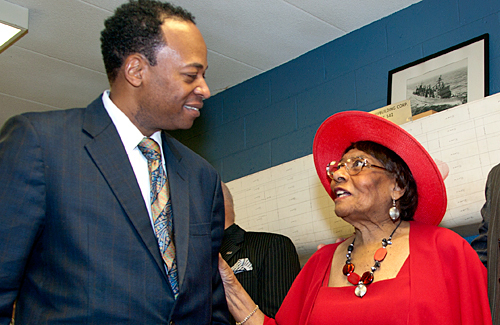 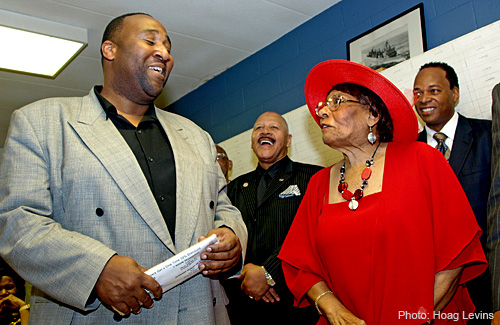 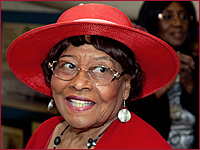 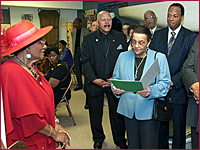 Evans served as executive assistant to Mayor Faison during her time in office. 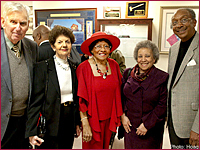 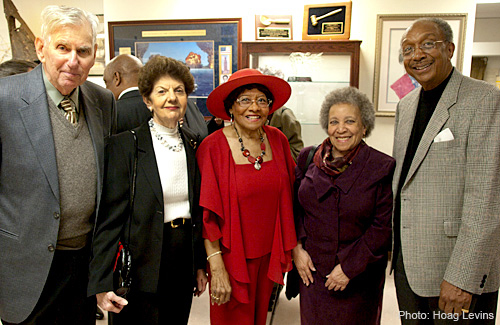 Above, right, Faison with (l to r) Joseph and Helene Levin and Doris and Ted Padgett. 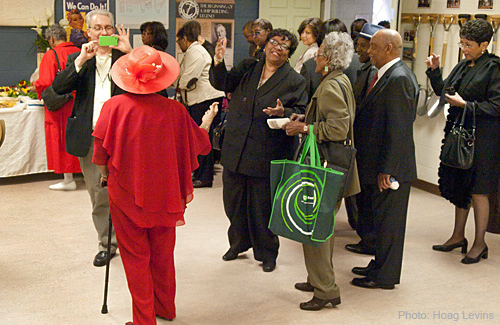 Lawnside Mayor Mary Ann Wardlow (above, left) waves to the former mayor as she enters. 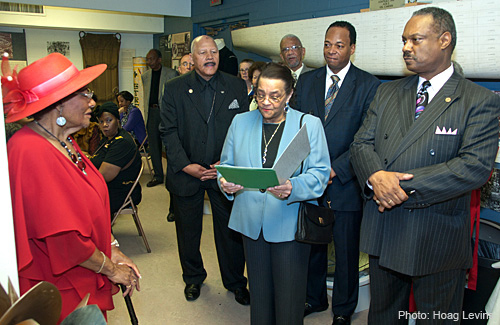 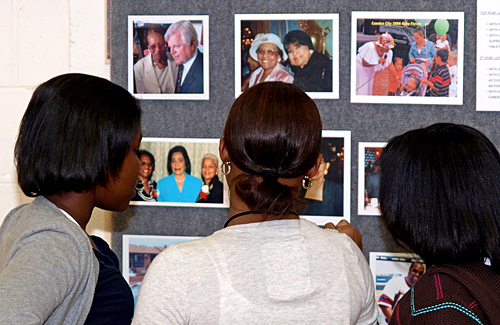 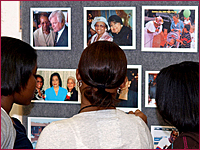 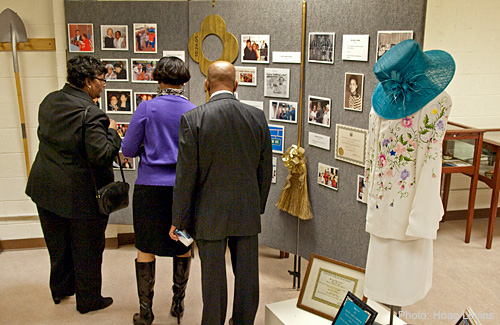 Above, right, attendees browse the photos of Faison with the late Sen. Kennedy, Coretta Scott King and other national leaders and celebrities. 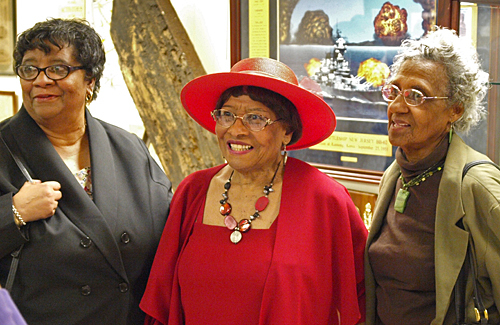 Above, left, is Lawnside Mayor Mary Ann Wardlow, Faison, and Sallye Harvey. 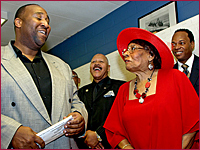 Above, right, Faison jokes with Brett Waters.